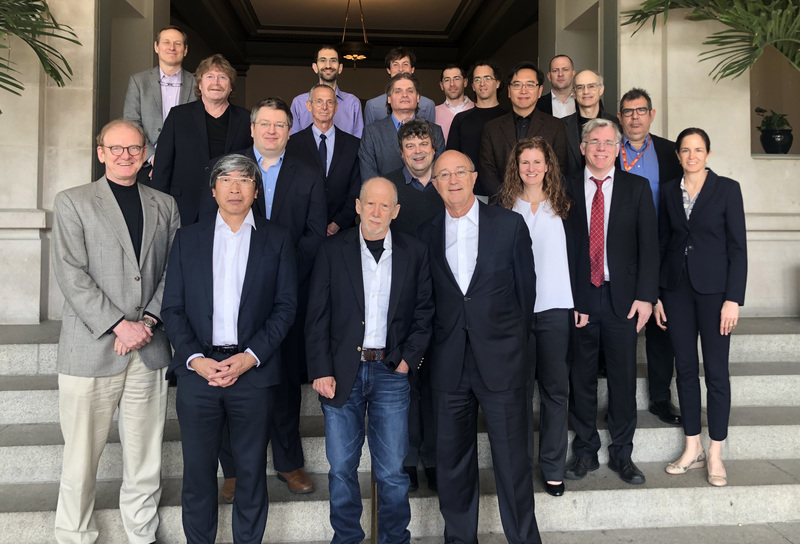 The 4th Sol Goldman International Conference on Pancreatic Cancer was held April 10-11, 2019 on the Mount Washington campus of the Johns Hopkins University School of Medicine. 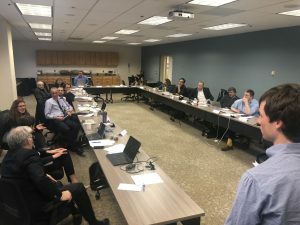 The focus of this year’s think tank was familial pancreatic cancer. The discussions were broad and deep, and most of all wonderfully thought provoking. The think tank ended with a lively discussion of impactful ways to move the field forward. Participants included Emmanuel Antonarakis, MD (Johns Hopkins University School of Medicine), Susan Domchek, MD (University of Pennsylvania), Elliot Fishman, MD (Johns Hopkins University), Michael Goggins, MD (Johns Hopkins University), Ralph Hruban, MD (Johns Hopkins University), Reed Jobs (Emerson Collective), David Kelsen, MD, PhD (Memorial Sloan Kettering Cancer Center), Scott Kern, MD (Johns Hopkins University), Kenneth W. Kinzler, PhD (Johns Hopkins University), Alison Klein, PhD, MPH (Johns Hopkins University), Benjamin Lewis, MD (New York-Presbyterian/Columbia), Prof. Christopher Lord, DPhil (The Institute of Cancer Research, London, United Kingdom), Nicholas Papadopoulos, PhD (Johns Hopkins University), Nicholas Roberts, VetMB, PhD (Johns Hopkins University), Patrick Soon-Shiong, MD (NantWorks), Ian Tomlinson, PhD, FRCPath, FMedSci (University of Birmingham), Bert Vogelstein, MD (Johns Hopkins University), Joshua Vogelstein, PhD (Whiting School of Engineering, Johns Hopkins University), R. Jacob Vogelstein, PhD (Camden Partners Holdings, LLC), George Zogopoulos, MD, PhD (McGill University), and Lee Zou, PhD (Harvard Medical School). Martin Makary M.D., M.P.H, F.A.C.S.